Here we are, once again, at the start of a new month. A new month for new adventures but one thing that just doesn't change is the constant blogger comment on how fast the last month has gone. At the beginning of the month it didn't feel that fast, while I sat at home preparing to be back at university, but now two weeks into this academic year and can say that the end of September has flown by. 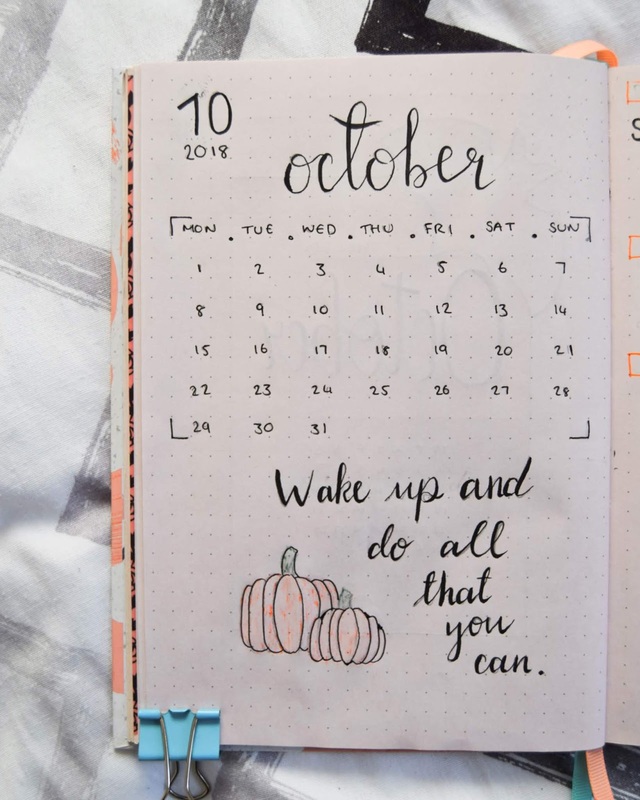 Anyway since you all seem to really enjoy these posts, here we have it my bullet journal spread for October. The overall design hasn't changed an awful lot from last month. I've found a system that works pretty well for me and I think I might stick to it. Even if they are the same do you still want to see posts about them still? 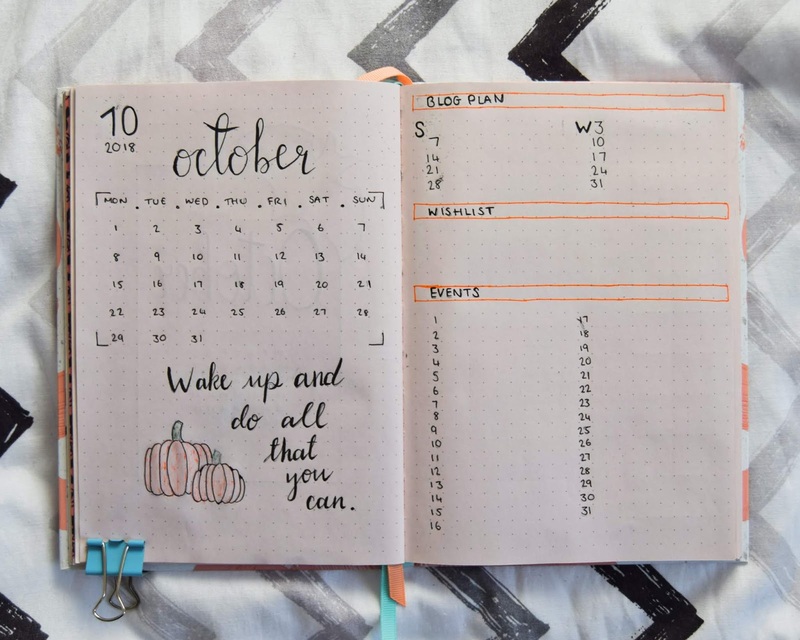 The newest addition to the pages for this month, is the calendar, blog plan, wishlist and events joint double page. I didn't use the calendar double spread much last month since I have a calendar hung up in my room, but I still wanted somewhere to write down any events that were happening later than the week I was at. 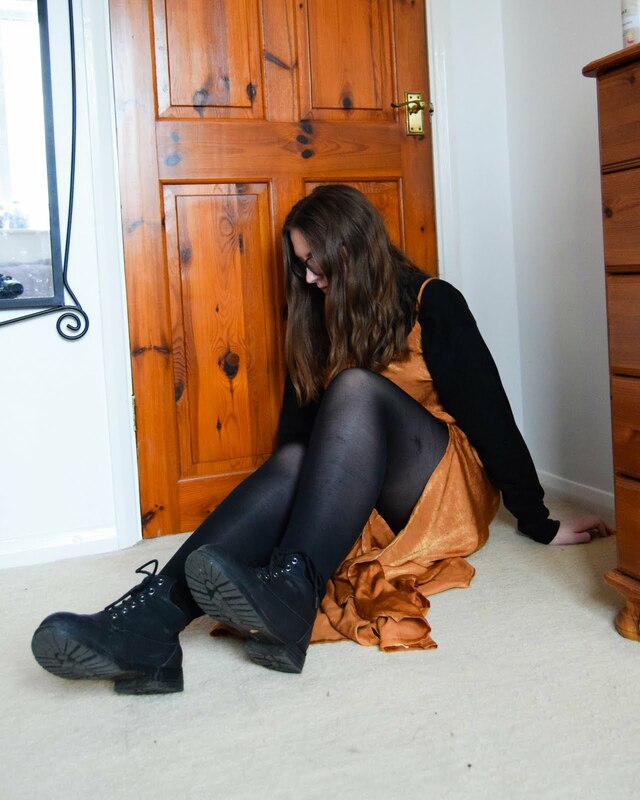 Plus I want to get back into being organised with blogging. Uni is now well and truly on its way and running pretty smoothly at the moment (touch wood) minus, of course, the noisy neighbours. 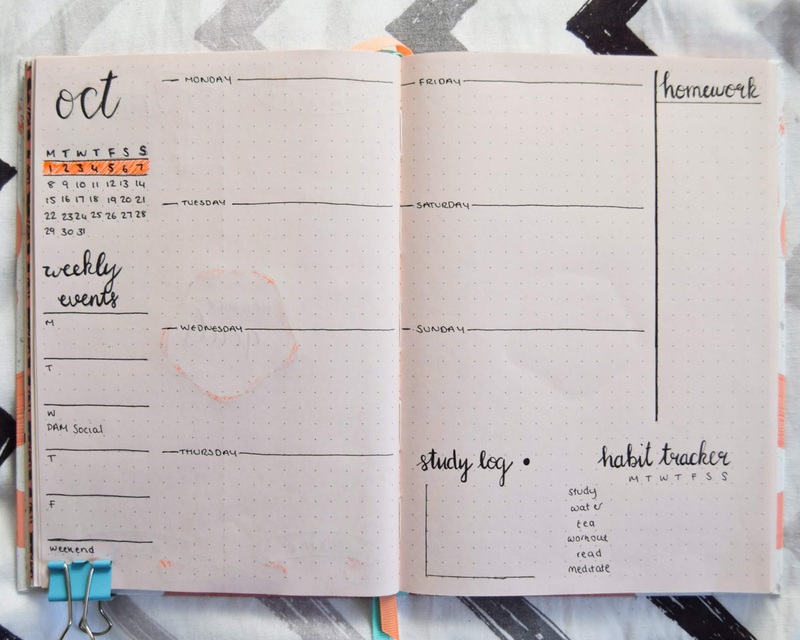 So when I saw this kind of set out on Pinterest [I can't remember the exact picture I referenced since it was a mixture but they are all on my journalling board on Pinterest] I knew I had something that might work. As for the theme for this month, I think it's pretty obvious was mine is and what most people's will be as well. 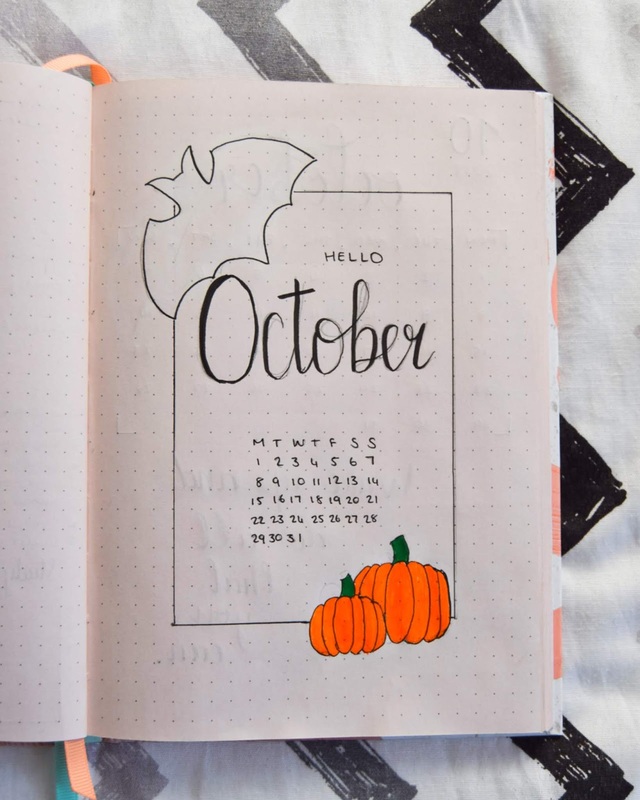 You couldn't have October without Halloween! So there welcomed orange as the main colour for this month. Now that I have a layout that works well for me I might try experimenting more with doodles and designs around the basic stuff. See if I can reach even a portion of like those on Pinterest or Instagram. 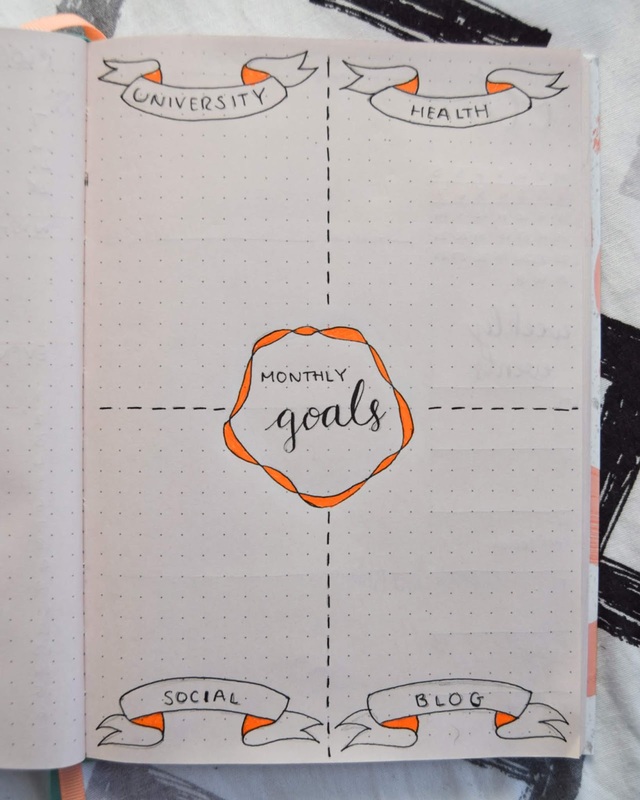 If anyone also has their own bullet journal spread blog posts, I'd love to see them!